If you are new to football betting and keen to start betting on soccer matches, then our guide will take you through the exact steps and options. This section will teach you all the basics of betting on football, explaining everything from football betting options, where to bet on football and how to improve your predictions. Betting on football is a gambling activity and can return losses of your stakes, that is why we recommend betting responsibly and following below tips to making smarter choices. Those that are looking to bet for a bit of fun, also known as recreational punter, you will be ready to start as soon as you have finished reading this page. On the other hand, if you are looking at this also as a way to make a profit, we are also pointing towards a wide range of resources at the end of this guide with the aim of improving your predictions and strategies on money management. As one of the most popular sports to bet on, football has the advantage of having betting odds with some of the highest returns. At the same time, there are multiple options to choose to bet on, but once you understand the basic ones, the other options will come as natural. The betting odds have a franctional notation in UK (ex: 2/3, 9/2 etc..). To better understand these odds and how they work we will consider an example. Betting £10 on odds of 2/3 will return £6.67 profit (2 X £10 / 3 = £6.67), however if your bet is lost, you lose only the £10 staked. Betting the same amount on odds of 9/2 will return a £45 profit (9 X £10 / 2). Profit does not include the stake that is also returned to the winner. 1X2 or Win-Draw-Win is the main betting market in football. This market allows users to bet on the outcome of the match (winning team or draw). 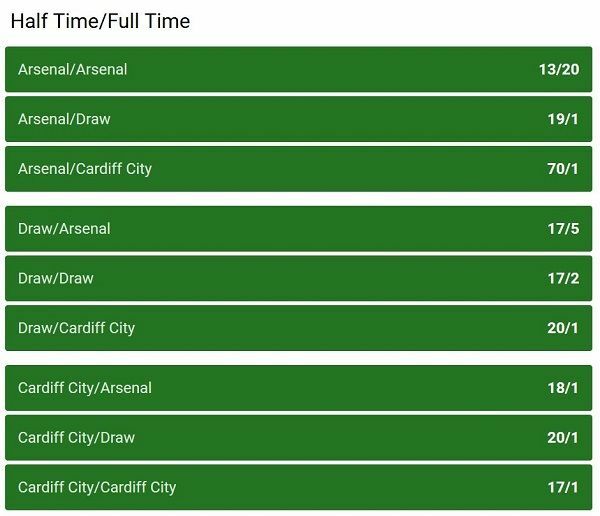 The 1x2 betting applies to full time results, which means a user can select what will be the end result at the finish of regular time (minute 90+, overtime included). Added extra-time is rarely included, but this policy be different from one betting agency to another. Please check with them if in doubt. As notation, 1X2 stands for end result – 1 selection is for betting on home team to win (or host team), X selection is for betting on draw, 2 selection is for betting on away team to win (or guest team). With betting agencies, a football match is presented as Team A Name vs Team B Name. In this example, Team A Name equals to 1, and Team B Name equals to 2. While the 1X2 betting market for full time matches is the main option available, you will also find variations of this betting choice applied on other game timeframes, like 1X2 on First Half of the game or 1X2 on Second Half of the game. In such cases, the betting works the same, but it only considers the result/number of goals scored during that period. Over/Under betting is the second most popular betting option in football. This market allows users to bet on the number of goals scored during a match to be over or under a specific value. The most common value of reference is Over/Under 2.5, which means that betting on Over 2.5 will be a winning bet if the match ends with 3 or more goals scored. For the Under 2.5 option to be a winning bet, the match should end with maximum 2 goals scored. While the 2.5 value is the most common in Over/Under betting, we will easily find betting options with other similar values, like 0.5, 1.5 and so on. The Over/Under betting option applies for full time result of the match (90 minutes + overtime). At the same time, we can also find variations on this betting market based on timeframe or individual participant. This way we can find Over/Under betting for First Half, for Second Half, Over Under betting for Home team or for Away team alone. The mechanics of betting is the same as explained above. The odds on these betting options are a bit lower when compared to individual result betting, but it covers more end results, hence limiting the loss risk. Multiple choices are available here like 1 / 1 (Home team to win at Half Time and at end Full Time), 1 / 2 (Home team to win at Half Time, Away team to win at Full Time) and so on. The Odd Even Betting choice offers the choice of betting on the total number of goals to be an odd number or even number. This is a simple bet with a simple outcome, with betting odds many times quite ballanced for both options. As you might understand from the title, the Correct Score Betting allows users to place a bet on a specific score for the match. The user will be presented to multiple potential scores, each with different betting odds. The Correct Score bet is a winner only in the case the match ends with that specific score. The Handicap Betting is a market similar to 1X2 option, but with a team being given a handicap from the start of the game. Handicaps are sometimes offered by online bookmakers to underdogs in an attempt to balance the match. Ex: we can find for example matches with Team A + 1 vs Team B. In this case, the underdog Team A starts the match with an advantage of +1 in goals. If the match end in 0-1 as an example, when we add the Handicap value we shall receive an actual 1-1 score, in which case X (the draw bet) would be the winning option. This option allows punters to select an individual player from any of the two teams to score a goal during the match. This betting option is a winner only if that player scores a goal during the selected football match. Some variations are also available here, like First Goal Scorer (which refers to player to score the first goal of the match), Anytime Goal Scorer (which refers to player to score a goal anytime during the match), Last Goal Scorer (refers to player to score the last goal of the match). 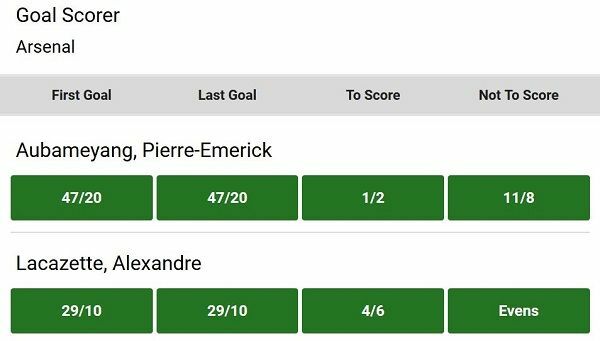 This is similar to Goal Scorer betting market, only that here you can select the team you think will score the first goal of the match. The Outright betting market is used at tournament level, available even from the start of the competition. It allows users to select the winner of the tournament, in our case, the football team that will be placed first at the end of the season. When it comes to betting on football, there are 2 main options: street-betting shops and online bookmakers. Street-betting shops or land-based casinos are still enjoying a great popularity among many punters, but online bookmakers have come strongly from behind, offering better value like improved betting odds, more betting choices and sporting events, betting 24/7 from the comfort of your home or from mobile apps, as well as live betting options. Bonuses and constant promotional offers like free bets and stake returns are also a big Added Value for selecting online bookmakers. eBonusCode.co.uk lists here several top recommended online bookmakers, along with any welcome offers available at registration. These online betting agencies have been operating online for long time and are serving hundreds of thousands of users, which recommended as trusted and secure operators. Furthermore, all of them are licensed by the UK Gaming Commission to offer betting services to users in the UK. When you are authenticated in your betting account, you will be able to access a Members area, where you can make a deposit (Deposit section). Here you will be presented with multiple deposit options in order to fund your betting account. Select a deposit option to fund your betting account. Credit/debit cards are the most common and quickest option. Other deposit options are also available, but if you are also looking to get a welcome offer, we recommend checking the bonus terms and conditions as there may be restrictions on deposit options. Deposits are quick and secure, just like paying when shopping online. Start betting: as soon as you have made your first deposit, you will be able to start betting. Surf to the sports betting section, select the Soccer option or any other sport, select the match you want to bet on and click on the outcome/odds desired. At this stage, your bet was added in the bet slip. With most online bookmakers, the bet slip is located on the right side of the browser. Once you are happy with the selection, you can click the button “Place Bet” available in your betting slip. When you claim a welcome bonus with online bookmakers, you will have some turnover requirements to fulfill before being able to withdraw any of your winnings. Please check with your bookmaker for the bonus terms. You may also be required to verify your account before any withdrawal can be processed. This is a standard procedure required to ensure no money-laundering or bonus abuse if conducted. The verification process may include a quick phone-call with the bookmaker or document verification (uploading some documents like ID scan and utility bill to confirm your address). This is standard procedure; therefore, you should not be afraid of this. As soon as the account is verified, you will be able to withdraw your money make subsequent deposits and so on. The verification is done only one time, so afterwards you should be able to use your betting account unrestricted. As sports betting can be addictive and lead to losses, you should know that there are self-exclude options with each bookmaker. Simply check this option in your betting account or contact them by email if you need to limit/restrict your betting activity. Another big advantage with online betting on football is the option to place both pre-match and live bets. 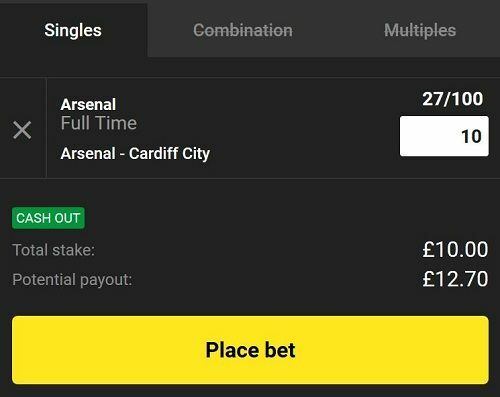 While pre-match betting options are available with street-betting shops, online sportsbooks offer both pre-match and in-play betting options. Live betting allows users to bet on games as they are in-play, with some bookmakers also offering the option to watch the game online from within the betting account via a live streaming service. Live betting however comes with some higher risks, as the odds are more volatile, changing often as the game progresses. When placing bets on football, many users simply follow their own intuition in terms of selection a winner. In other cases, users will simply bet on their favorite team, even it is not the smartest choice. When betting on football, we recommend doing your research and see what other users / tipsters have to say. There are many both free betting tips and paid tips services which can be checked and used. While you can get these predictions from other services, you should be the final decision factor when it comes to placing the bet, weight in the betting option, and do not go in blind just because someone else says so. Surely you know your way around football if you are considering betting on soccer matches, but some extra statistics that are organized in a manner that can make you see football trends and probabilities of games ending in a certain result are highly advised. Check SoccerStats247.com for example as a source of daily football matches, live score, statistics and trends for competitions from all around the world, from major tournaments like Champions League or World Cup, to local events like national league such as Premier League or FA Cup. This website has structured many details and football statistics in a manner that can easily be used for identifying the best betting options on different games. If you read through this guide, you have the basic info that can get you started with football betting. With simple steps to follow, examples on betting odds and betting choices for football, options for online betting, this section answers the question of “How to bet on football?”, offering an effective start for any new football betting user.